While reading though my feeds, I was thrilled to catch the announcement of the new We Are KidLit Summer Reading List for 2019 at CraziQuiltEdi's blog. 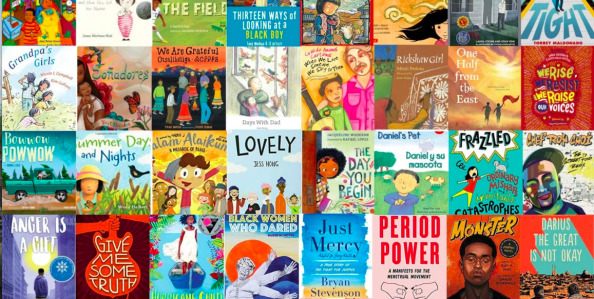 The list, full of great kids books (both newer and older titles) that emphasize #ownvoices from BIPOC, LQBTQIA+ and disability communities, is put together by a dedicated group of kid lit lovers: the We Are Kidlit Collective. One of my favorite parts of Edi's post announcing the new list is how she shines a light on how the booklist is put together and who does (and did) the work. Once you get to the We Are KidsLit website, you also can access previous lists to build your collection and expand the books you recommend to kids.